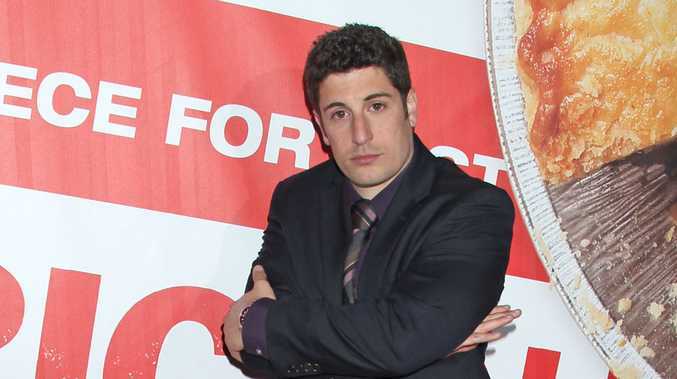 JASON Biggs cried at the birth of his son. The 'Orange is the New Black' star admits he was reduced to tears when his son Sid, with whom he has with his wife Jenny Mollen, was welcomed into the world four months ago. Speaking to PEOPLE, he said: "I was overcome [with emotion meeting Sid for the first time]. It was emotional. I cried!" The 36-year-old actor appears to have settled into fatherhood now, but he admits he's found himself in some sticky situations, especially when it comes to changing the little one's nappy. He explained: "This little baby can pee a full stream." Jenny, who is currently promoting her new book of essays 'I Like You Just the Way I Am', added: "You have to use something to cover it. It's like a fountain. Sid will pee in his own face." Meanwhile, the couple, who got married in 2008, are no strangers to documenting their lives on social media sites and, although some of what they share has got them into "trouble", Jason insists he is entitled to post what he wants when it involves him and his family. He said: "I've always posted stuff and gotten in trouble. This is my kid. Don't tell me what's wrong!" However, Jenny - who posted a picture of her bloody placenta on Instagram in February - added: "There are moments I wish I didn't put as much out there. But I don't know how not to share."